Evan Imber-Black, PhD, is the Director of the Center for Families and Health and a faculty member at the Ackerman Institute for the Family. The Center for Families and Health delivers training, consultation and systemic therapy for families who have one or more members with a chronic or life-threatening illness. She is a senior faculty member at the Ackerman Institute. Evan is currently Professor and Program Director of the Marriage and Family Therapy Masters Program at Mercy College. Dr. Imber-Black is Professor in the Department of Psychiatry at the Albert Einstein College of Medicine in the Bronx. Dr. Imber-Black was the editor of Family Process, the major scholarly journal in family systems research and family therapy from 2004-2011. In addition to her work in Family Therapy training and practice, Evan teaches scholarly and popular writing for family therapists who want to publish their ideas. Previously, Dr. Imber-Black was the Director of the Family and Group Studies Program, providing systemic training to psychiatric residents and Founder and Director of the Urban Institute for Families and Family Therapy at Einstein. This innovative institute provided family systems training for front-line mental health workers who were called upon to see the most difficult family situations with no training to do so. An institute without walls, the Urban Institute provided live supervision in clinics and hospitals throughout the Bronx. Before coming to New York, Dr. Imber-Black was the Director of Training at the Family Therapy Program in the Department of Psychiatry at the University of Calgary, and Director of the Family Therapy Training Program in the School of Education at the University of Massachusetts. Dr. Imber-Black is a past president of the American Family Therapy Academy; recipient of the 1990 American Family Therapy Academy Award for Distinguished Contribution to Family Therapy Theory and Practice; and the 1999 recipient of the American Association for Marriage and Family Therapy Cumulative Contribution to Marriage and Family Therapy. 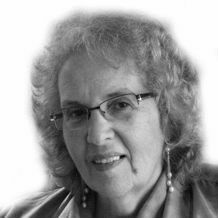 Throughout her internationally recognized career, Evan Imber-Black has made major contributions in thematic areas that cut across different models of practice, including families and larger systems, family rituals and family secrets. She is the author of over 75 original papers, and several books, including: The Secret Life of Families (Bantam, 1998), Secrets in Families and Family Therapy (WW Norton, 1993), Rituals for Our Times, co-authored with Janine Roberts (Jason Aronson, 1998), Rituals in Families and Family Therapy, co-edited with Janine Roberts and Richard Whiting (WW Norton, 1988,Second edition, 2003), and Families and Larger Systems (Guilford Publications, 1988). Married to Lascelles Black, MSW, LMFT, Evan is most proud to be the grandmother of Josie, 17; Lois, 14; and Zane, 12, who have helped her to know that generativity is the core value she wishes to bring forth in her work and in her relationships.